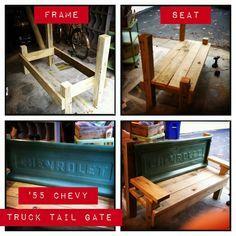 Whether you scrounge a tailgate from a junkyard or just happen to have one out back, incorporating a tailgate into a bench makes for a quirky and eclectic conversation piece. 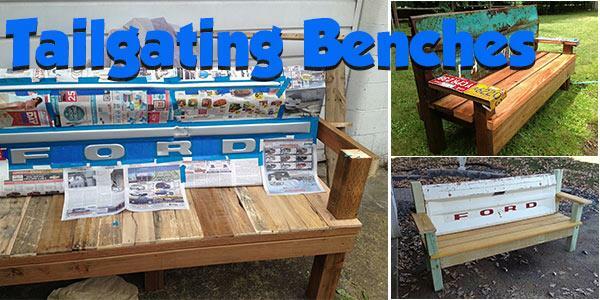 Use reclaimed pallet wood, exterior treated lumber or cedar to build a bench for your deck, patio or even a hallway or mudroom. 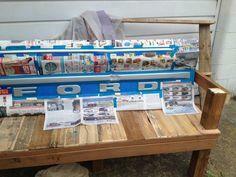 This sturdy bench will be a focal point in any setting and enjoyed for years. 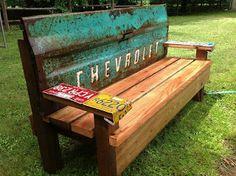 If you're a car guy or just want an attractive and unusual bench, a tailgate bench is right up your alley. 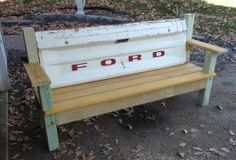 Make an old pickup truck tailgate into a charming and rustic bench with easy plans you can download and adapt to the size of your tailgate.